When I saw Martina last week, she gave me the biggest toothy smile about 2 inches from my face. 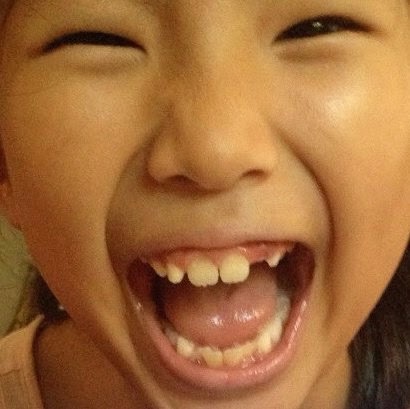 She didn't stop until I noticed that she had lost another one of her front teeth. "Wow, Marteens! Did the tooth fairy visit?" I asked. "Yes. I got 60 pesos ... but I really wanted 100." "I don't think you should complain," I said, preachily. "When we were kids, we got zero pesos when we lost a tooth." "WHAT!?!? THE TOOTH FAIRY NEVER VISITED YOU???" "I know why the tooth fairy never visited. Because she's afraid of mosquitos."